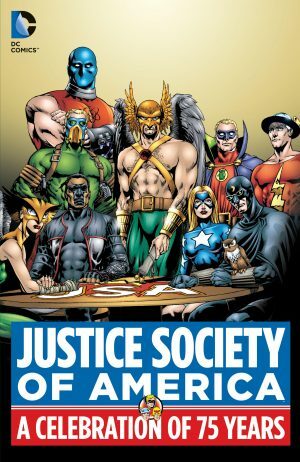 Since their introduction in 1958 there’s been something about the idea of a team of teenagers with super powers operating a thousand years in the future that’s captured the imagination of an influential cadre of fans. Yet despite spawning an animated show in 2006, and sustaining their own series for most of the time since the 1960s until recently, for some reason the Legion has never made that leap from a feature with a strong fan following into mainstream public consciousness. Their first appearance in Superboy’s comic was as three teenagers from the future testing him for membership in their club, another in the parade of inventive oddities in Superman’s world long before continuity was considered desirable. 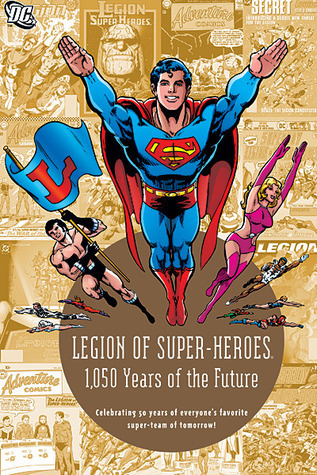 Something about them struck a chord, and the Legion of Super-Heroes returned, and returned again, and again, eventually earning their own feature. These stories are now crude, with laughable elements such as members introducing themselves to people who already know them in order that readers who don’t, pick up on them. Yet the imaginative appeal is also displayed and they charm with their inventive devices and powers. The full range of early 1960s members are seen in a despotic and manipulative bid to become team leader. Can Saturn Girl really have gone bad? Here the future is bright, a miasma of clashing colours attempting to disguise the stiffness of John Forte’s art (sample page left). Jim Shooter’s introduction to his stories is funny, and his 1960s work astounding considering they were written by a thirteen year old. His 1970s sample doesn’t start promisingly (and features hilarious costume designs from Mike Grell), but develops a good emotional core. 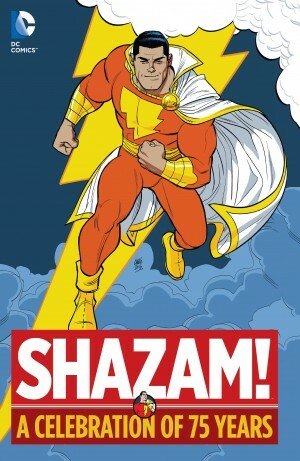 His run and that of Paul Levitz and Keith Giffen are considered highlights in the canon, and a more plausible extrapolation of the future is evident in their work featuring a clever run through of past incarnations. 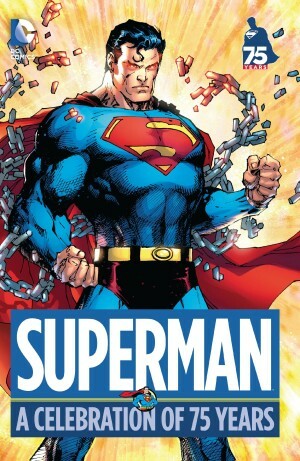 Mark Waid and Tom McCraw’s re-booted origin from the 1990s expands on the stories of others, with Stuart Immonen’s art the standout feature, and he’s even better on Levitz’s clever look at how Superman’s story is interpreted on various planets (sample art right), requiring assorted different styles. The most recent story is from 2002, after another re-boot, the characters now looking younger again. Dan Abnett and Andy Lanning’s version of the LSH was widely considered the best for some considerable while, and it combines the wide-eyed optimism and imagination of the earliest stories with a 21st century outlook. The writers created a background of broad political turmoil and this sample hints at that while also being a feelgood story of friends reuniting after a lengthy time apart. As with all such anthologies, those intimately familiar with the feature can quibble about the chosen stories, but the selection’s relatively representative, although a gap from 1975 to 1994 hardly speaks of quality material. Over 220 pages we’re introduced to a couple of dozen characters, some of whom remain relatively mysterious, but the collection includes profile, pin-up and background information pages completing the bigger picture. 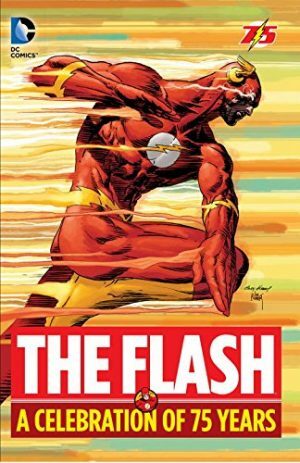 This isn’t a really a collection for people who love the feature, as they’ll have most of the content anyway, but an introduction for newer readers. As such, fewer tales extrapolating possible futures for the Legion’s members might have been advisable, but otherwise it’s a decent selection of the good and the dorky.